The origin of the MTL Archive dates back to 17th century France, when the Leclercq family entered the business of textile mercantilism. In 1847, the family business evolved into industrial textile weaving under the company name Leclercq-Leroux and continued to expand as it acquired local textile mills over the course of a century. 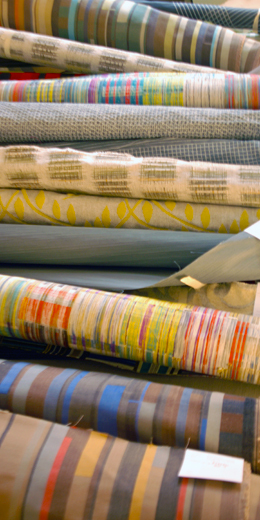 Each new mill contributed its own, unique archival documents and designs to the Leclercq family’s historic collection of textiles, which had been developed with its own designers. Today, with MTL being the primary production center for the finest upholstery fabrics in the world, an ideal opportunity arose to localize this exceptional source of inspiration where we already develop and weave such innovative textiles. The entirety of the Archives was transported from the village of Hem in Northern France to Jessup, Pennsylvania in March 2013. This historic collection comprises approximately 80,000 textile documents and designs that have been produced and preciously curated by generations of the Leclercq family over four centuries. The Archives are organized to assist MTL’s designers and customers in new product development as well as to enhance the sophistication and beauty of our woven textiles. Completion of the MTL Archive is expected in Autumn 2013 and we invite our customers to visit and further explore MTL’s rich weaving heritage.